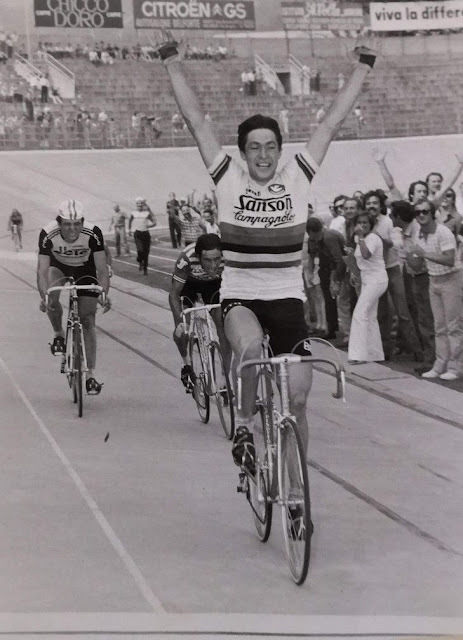 When I think of Paris-Roubaix, so many champions have won this great race but there is only one Monsieur Paris-Roubaix... Roger De Vlaeminck. His record of four victories is equaled by Tom Boonen. RdV's magical time was 1969 to 1982. The Flandrien won four times ('72, '74, '75, '77) second four times only to DNF in 1980, never placed worse than 7th. 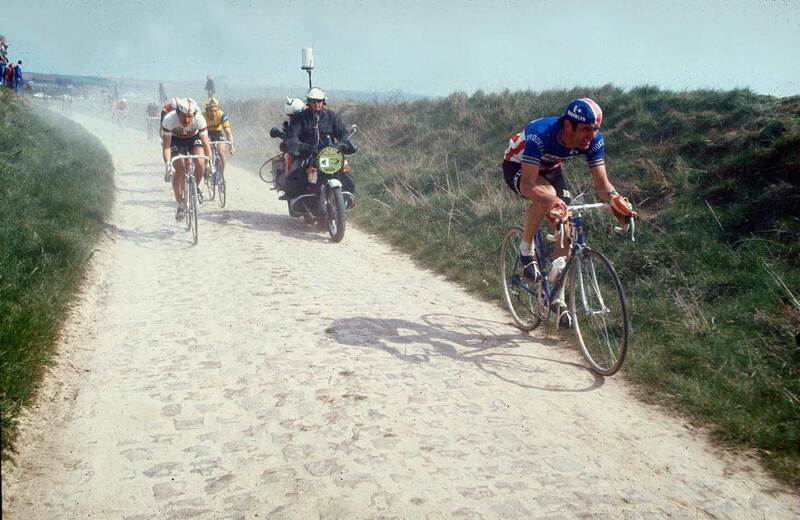 He was a champion cyclocross rider and perfected the art of riding ala TTT over the cobbles his way. He oozed style; with his sideburns, Brooklyn chewing gum jersey and beautiful blue Gios. "When you're really fit, you rarely get a flat tyre because you're more lucid. 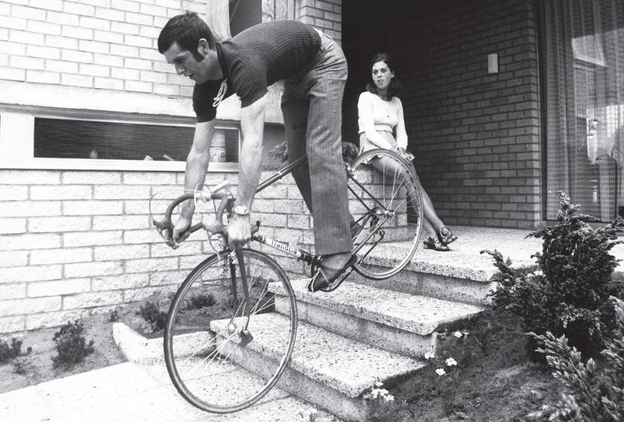 I had a puncture once, in 1970, and then never again in 10 years. The other secret is confidence. I often started with the idea that I was going to win. I missed my chance once or twice but no more than that. I used to get up a 5am. When it was good weather I went out behind a Derny with my lights on. 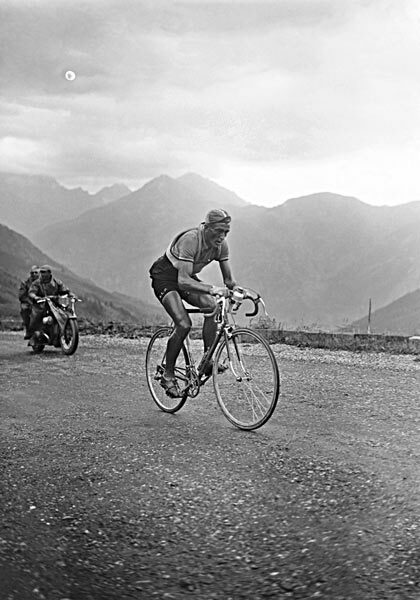 I used to meet Walter Godefroot to go training and I'd already ridden 120 kilometers. I used to pretend that I was tired because I'd just gotten out of bed and try to persuade him we should have a shorter ride together. I don't know if I fooled him but I needed to bluff the others to raise my own morale. I knew how to get ready for PR. 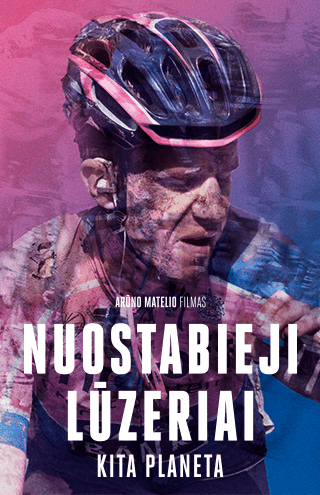 I used to ride three days of 350 kilometers a day in the week before. I used to ride Gent-Wevelgem and then ride another 130 kilometers having just changed my jersey. One year I rode 430 kilometers in a day. I needed that, that sort of training, to start the race in a good frame of mind."